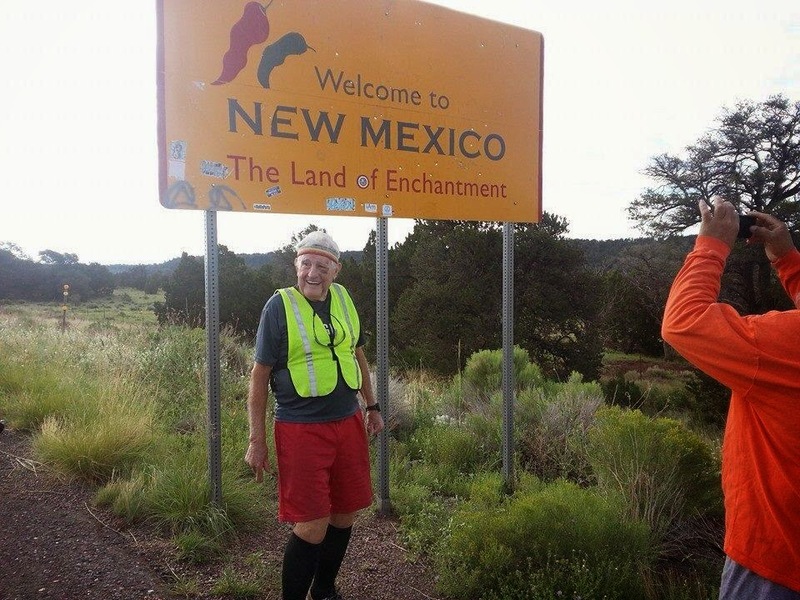 Ernie Andrus, the 90 year old World War II veteran started running/jogging/walking across the country last October from San Diego. 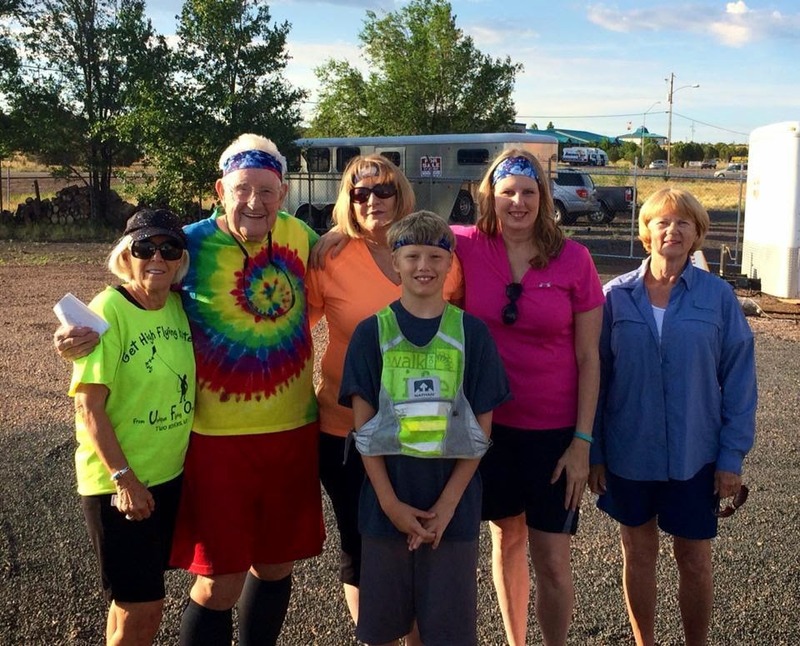 In June, when CBS News profiled him, he was in Payson, Ariz. And now, more than 10 months after he started, he has crossed into New Mexico. Ernie runs three days a week. Each running day he covers as much ground as his legs will carry him, and then catches a ride back to his RV. He drives to the spot he stopped running and chills out until he's ready to set off again. Ernie explains that his journey will end when he reaches the Atlantic Ocean, near Brunswick, Georgia, some two to four years down the line. There is a point to his running, he is helping to raise money for the LST 325 SHIP MEMORIAL, INC. Ernie was one of the crew that brought the LST 325 back from the Isle of Crete, Greece to the US in 2000, 2001 as aired on the history channel as The Return of LST 325. One thousand fifty one LSTs were built during World War II. The 325 is the only one left that has been restored and is still operational. Plans were being made to return the ship to Normandy for the D day memorial service (D day plus 70, 2014) and beach it at the same location where it was on Omaha beach 70 years before. The cost of taking this ship across the Atlantic and back is tremendous. Shortage of finances caused the 2014 trip to be canceled. Perhaps we can raise enough money for D Day plus 75 in 2019. You can also join Ernie on his runs. Catch up with him using the links below.